KOFI is the Akan name for a Ghanaian boy born on Friday. Kingston is the capital of Jamaica. 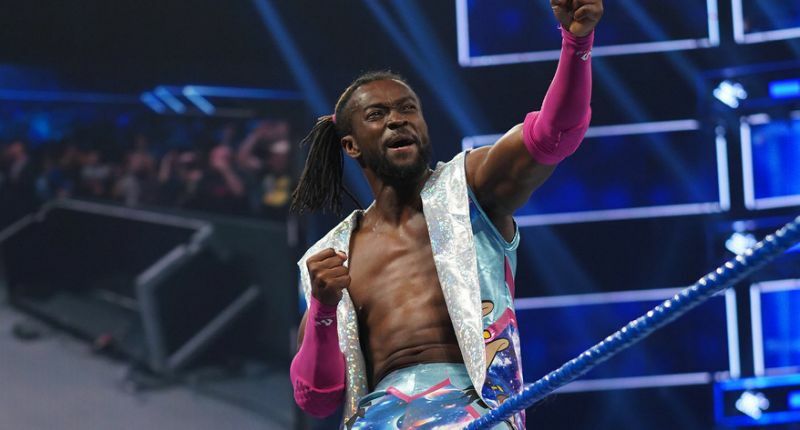 A combination of the two names is the trade name for the current World Wrestling Entertainment (WWE) champion – Kofi Kingston. Born Kofi Nahaje Sarkodie-Mensah, Kingston had a tough time trying to outdo the experienced champion, suffering several setbacks in the course of the bout but doing just enough to stay in the match till he unleashed a winning move. According to Yahoo Sports, the record attendance at the venue had become the highest-grossing event in WWE history. There were over 82,000 fans across the 50 American states and people of 68 nationalities assembled for the event. It grossed $16.9 million, eclipsing the previous record of $12.3 million. WrestleMania 35 was not only memorable for its record-breaking figures and stats. The ring action offered some truly historic moments as well. For the first time in WWE history, a women’s match was front and centre as the main event, in which Becky Lynch defeated Ronda Rousey and Charlotte Flair in a winner-take-all dual championship match. Kofi Kingston also made history when he became just the second African American to be WWE champion. According to Bloomberg data, this year WWE is expected to surpass the $1bn revenue mark for the first time in the company’s history — and with mega events like WrestleMania 35, the company appears well on its way to reaching that mark.